The 2018 Honda CR-V is here and ready to impress. Available now at Executive Honda, this new crossover SUV features stellar safety technology and ample passenger and cargo room. Located in Wallingford, CT, Executive Honda and our Honda dealers in CT are here for you every step of your Honda car’s life. This new Honda model comes packed with power. The standard in-line four-cylinder engine puts out 184 horsepower and 180 lb-ft of torque, while the turbo in-line four-cylinder powertrain in top trims delivers 190 horsepower and 179 lb-ft of torque. Coming in four different trim levels, you can pick which amenities work best for your lifestyle. Inside, you’ll be impressed by the fine array of cabin amenities. With all the features you love to see in luxury cars, paired with the practicality you know and expect to see in Honda cars, the 2018 Honda CR-V offers the best of both worlds. This vehicle boasts the expansive cargo space you desire as well as elements you didn’t even know you needed like USB ports for the passengers sitting in the back. When it comes to safety elements, this compact SUV has it down pat. Optional features are aplenty, including a lane keeping assist system, adaptive cruise control, and a blind spot monitoring system. On top of all of these safety features, this new Honda SUV also has a rearview camera system, automatic high beams, rain-sensing windshield wipers, and rear parking sensors. When it comes to entertainment and connection, the Honda CR-V offers both in spades. Standard amenities include a five-inch center touchscreen, Bluetooth® compatibility, and a USB audio interface. Higher trims add smartphone integration via Apple CarPlay™ and Android Auto™ and a navigation system. 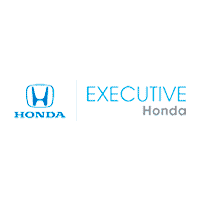 When you’ve decided that this is the perfect vehicle for you, be sure to contact Executive Honda and take one for a test drive today! You can contact our new and used Honda car dealership at 866-664-6093, or visit us at 1194 North Colony Road. We think you’ll love the Honda CR-V as much as we do at Executive Honda.